THIS PAGE IS ACTIVE BUT WILL NOT BE UPDATED, PLEASE GO TO THE MAIN SITE. Here are some of the products that I have found to live up to their claims, I own or use each of these and would highly recommend each one of them. If you use a product that you are happy with, please fill out the product form and I will add it to the list. Most of these products can be purchased from pets.com, by clicking the banner above. These are my favorite filters, Eheim filters. I believe were the first and still the best canister filters on the market. They are more expensive initially and the most helpful accessories are sold separately. Their higher cost is well offset by their reliability. This was one of the first filters I bought and it is still running seventeen years later. Thats quality! Hagen Aqua Clear were first introduced years ago I believe as Bio-Zonics and their design has remained basically the same. They are easy to set-up and a snap to clean. A great filter for the novice and expert alike. Vortex Diatom filters are another long time stand-by. They are an excellent polishing filter, although somewhat difficult to set-up and clean. Boyds Chemi-Pure is a product that I used successfully in my salt-water tanks, it performed well and kept my water crystal clear. Poly Filter is another multi-use product. It is an excellent filtration medium and is unmatched in the removal of dissolved medications. My current favorite is Bio-Chem Zorb which combines carbon, resins and zeolites, all in one easy to handle pouch. It does a superb job. One of the most overlooked but essential part of any aquarium is the heater. There are dozens of makes and models available, with a wide range of wattages. With such an assortment to choose from it can hard to make a selection. Price should not be a factor. A heater loss could mean the lose of all your tanks inhabitants. My choice and favorite are the heaters made byEbo-Jager. They have been around a long time with little change in design. I have found them to be completely reliable and accurate in their control. I have tried many other heaters, but always return to Ebo-Jager. I rarely use any chemicals in my aquaria however I've foundStress Coat to be a useful product. It is a fine chlorine remover that also helps protect the fishes slime coat. 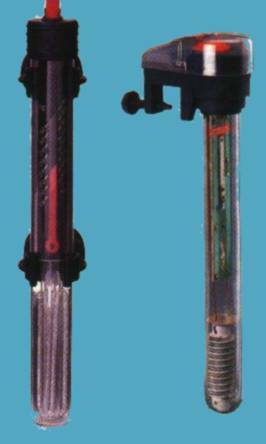 Tap Water Purifier is an ion exchange unit that completely de-salts and de-mineralizes tap water. A must for areas of high ph. and high water hardness. 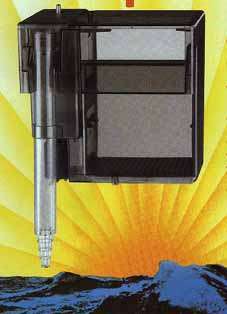 It is easy to use and changing cartridges is a snap. it is a tank top unit that combines thefilter and lighting in one unit.I am very impressed with the system, it is well thought out and arranged. Set up was simple and quick with easy directions. It has only been running a short time but I find it quiet and efficient, the bio-wheel runs smooth, the filter cartridges change easily, the light has a protective cover, it even has a clip to keep the cords neat. It's available for the standard ten, twenty and twenty-nine gallon fish tanks. I would call this a best bet for anyone setting up a new tank. If you have an older unit please call the manufacturer for a free mounting kit that will keep your motor unit straight and running quiet. I recently bought the double light fixture that is available for the Eclipse 1, this is great if you want to try a micro reef set up. Normally one would not think of fish food as being new or exciting, it just something we sprinkle on top of the water. All fish foods are not the same. 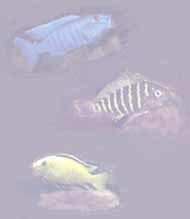 The major brands will keep fish healthy and growing as they are basically identical. Recently a new brand has appeared that I feel is superior in all aspects. The food called Vibragro, looks the same, but it has color and growth additives mixed in the formulation. It also has "flavor enhances" that make it more appealing to your fish.I bought it as a buy one get one free special from one of my mail-order sources, but would not hesitate to pay the regular price. TRY IT. I Use the new Coralife normal output 10,000k flouresent on my micro reef and find it to be a very bright White light that penetrates the water well. On your next bulb replacement try one, I think you will be very happy. This is the best flake food I have ever used. It does just as it says. My fish go nuts when I feed with this food. I have noticed the coloring of my fish is dramatically become bolder and brighter. I would recommend this flake to anyone. A very efficent filter, but requires too much time in cleaning. Aquarium products System 2 overhead wet-dry filter. Cheap wet/dry system that for the price cannot be beat. Quick cleanup and you don't necessarily have to order the filter pads from the company. Cost me $28 and has been running for 5+ years nonstop. Let me start off with the 330. this filter is great for easy and quite filtration. It is not as efficient as the Emperor but it still out does whisper, aqua clear, and many other powerfilters. The smaller models are great to use on smaller tanks. I have a 170 and 125 on my 43 hex, 2x125 on my 30 gallon, 2x100, one on my ten gallon sick tank and the other on my ten gallon in my room. The biowheels work great. I recommend these filters two all who like to have clean and clear tanks. Very little maintenance, keeps my tanks clean. My fish seem the healthiest in my tanks with these on them. Marinelands Emperor 200 Power Filter. An adaptable and efficient filter. It is the only power filter I know of that efficiently aerates the water surface throughout its inherent design. The bio-wheel truly ERADICATES ammonia. The filter pads are a bit pricey, but the separate media container allows you to choose media as you see fit, without resorting to messy (and floating) media bags. Marinelands Emperor 400 Power Filter. I find these filters to be very reliable and the water in my 55 gal is crystal clear with 2 of these filters. When the pads need to be replaced, I just go buy filter floss and stuff a roll of it in front of the media containers, this is nice because each filter can use two different kinds of media and the spray bar driven biowheels work well. This filter is the best hang on the back I have seen or used. I have one on my 55 gallon and the water is sparkling clear. It is very efficient and reliable. The only drawback is you have to keep it clean or else grime build up will greatly reduce efficiency and might even warrant having to get a new filter. If you want a reliable filter that will keep your tank clean, not make noise, and easy to maintain this is the one. The two biowheels once cultured work very well in the depletion of ammonia and nitrites. Piece of crap, filter is run by a magnet that always jams. The last time it jammed it overheated and the tube melted. the product only uses its filters. If the store is out your sht out of luck because not everyone carries this crap. if there is a problem you cant bring it back to the store, you have to send to manf. I thought the Eclipse would be a good product as well, however, within only a month the pump failed and one of the lights went out. I have two 550 on my 55 gallon which are running the undergravel filter and the work great. They are a lot less noisy than airpumps and they pump the water more efficiently. The fish love the current they create. They also have an attachment to where you can feed air into the water flow. African Cichlids love it. This stuff just rocks. It is *NOT* a phosphate buffer! The same company makes other variants of this that are, but the 8.2 variant is NOT. It also keeps the water at an exactly even pH. My water has never even fluctuated 0.1. Put it in, use some when you change water(enough for the water replaced), and you are set. Checking pH almost becomes un-necessary. This is by far the best range of plant fertilizers I have ever used. It is so good due to the routine that it sets out for the user. S7 (trace elements)every 7 days E15 (iron fertilizer) every 15 days V30 (general fertilizer)every 30 days You cant go to wrong with this. Stinks. Hard to get the attachment set up and impossible to get the suction going for the vacuum. It won't connect to my water purifier to fill the tank so it blows the whole point of not having to use a bucket to fill (and treat the water first before going into the tank and fish). It is also a hassle to store and unravel. A waste of money.